Here is a fully working example of the code shared above. Use Sessions to track the state of a user's interactions with your application across multiple requests, over a specified period of time. Tracking user state with Sessions enables more feature-rich user experiences. Further, Sessions play a major role in access control. Session Management involves creating, reading, updating, and deleting of Sessions and Session attributes, and validating Sessions. Yosai's SessionManager uses a CachingSessionStore to cache sessions. If you are not caching sessions, you you are either using in-memory session storage (the MemorySessionStore) or using your own custom SessionStore, which is beyond the scope of consideration in this documentation. Access is limited by user identity: a guest cannot perform the operations that an authenticated user can, and each authenticated user may perform different operations. The identity of an authenticated user is recorded in the Session. Since access control is limited by identity, and identity is obtained from a Session, access control is considered bound to a Session. Sessions are a "threat vector": a path that an "actor" may exploit to attack a "target" (your application). Sessions are exploited by a process known as hijacking. Session Management helps to manage many of the inherent risks of Sessions through a series of countermeasures. More information about these countermeasures follows in the documentation. A Session Token is like a smart chip, or magnetic strip, on a credit card in that it contains identification-- a session identifier (SessionID). However, unlike the elements of a credit card, the Session Token has a much shorter lifespan. The SessionID is a sensitive and critical piece of information. It uniquely identifies a Session. It is the Session's key in a SessionStore (cache) and it is the key that is sent with subsequent requests by a client (the user). Once an authenticated session is established, the SessionID is the client's key to Yosai. Therefore, it is very important that the session identifier be unique and very difficult to reproduce. The risk of compromising a Session increases as time passes. To address time-driven risks, Yosai defines temporal properties in a Session -- idle time and maximum allowable time to live (TTL) -- that enable "timing out" of Sessions. When a Session "times out", it is considered expired. When a Session is expired, it can no longer be used in Yosai, and therefore is no longer at risk of being hijacked. The timeout thresholds are configured in the Yosai settings YAML file. Should you find their default settings unacceptable, you can easily change them. The default settings are somewhat aggressive so as to minimize the risks that defaults may present and to encourage developers to take ownership of session time-out decisions. This property represents the total permissible time for a user to be inactive in a system, or idle. 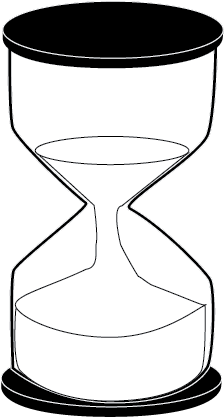 Picture idle timeout as an hourglass that is turned over and reset periodically. The way that idle time is reset is by updating the Session's last_access_time attribute. As to when the last_access_time is updated depends on what "auto_touch" has been configured to or whether you've chosen an alternative time to touch than the default (per-access). A DefaultNativeSessionManager has an attribute, "auto_touch", that when set to True will allow the updating of a Session's last_access_time attribute to the current time, whenever a session is accessed, following Session validation. As mentioned, when a Session should be touched depends on the type of application you are developing and thus auto_touch is a configurable feature. When a Session is obtained from the SessionStore, it is immediately validated. Should the validation not raise any exceptions, and if auto_touch is True, the Session will be "touched". Touching a Session is the process of flipping and resetting the hourglass, so to speak, by updating the last_access_time attribute of the Session. Yosai's default idle time setting for a Session is 5 minutes. A Session has a maximum allowable time period that it may exist. It is the final countdown until a Session is expired. It cannot be reset, unlike idle timeout. Many computer systems refer to this as a TTL -- time to live. Yosai's default time-to-live for a Session is 30 minutes. Aside from expirations, another mechanism for rendering Sessions useless in is stopping them. When a subject logs out of a system, the subject's Session is stopped. Like an expired Session, a stopped Session can no longer be used and is consequently no longer at risk of being hijacked. Session Validation is the process of determining whether a Session has stopped or expired. When a session has stopped or expired, it is considered invalid. 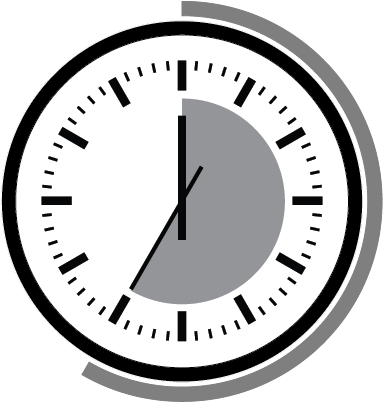 A Session expires when the time duration between the current time and the last recorded time that a Session was accessed exceeds either timeout threshold. Keeping track of idle expiration presents performance challenges. Therefore, Sessions are validated only when they are accessed (i.e. subject.get_session()). By default, Sessions are "lazy validated" in that they are validated at the time that [they are accessed?]. As discussed in an earlier section above, access control is bound to a Session. Since access control is bound to a Session, when a Session is invalidated so too does the authorization information cached for the Session. Invalid authorization information is cleared from cache through event handling. Monitoring for idle timeout increases the complexity of Session Management. As discussed, Session validation taxes the performance of an application and therefore does not run before every authorization check. Instead, validation is designed to maximize utility for the most popular use case-- one where the subject instance has a short life span in memory and sessions validate when they are accessed. Therefore, it is recommended that you release a Subject instance for garbage collection between requests. Keeping the last_access_timestamp synchronized with session usage presents a performance design challenge that you are encouraged to help improve. Ideas are welcome! By default, whenever Yosai detects an invalid session, it attempts to delete it from the underlying session data store via the SessionStore.delete(session) method. However, should you decide not to automatically delete invalid sessions, you can easily opt-out of this process. For example, if your application uses a SessionStore that backs a queryable data store, perhaps your dev team wants old or invalid sessions to be available for a certain period of time. Storing invalid sessions would allow you to run queries against the data store to see, for example, how many sessions a user has created over the last week, or the average duration of a user's sessions, or similar reporting-type queries. At Session expiration, Yosai ties up loose ends, so to speak, through its event-driven architecture. A Session can be used to manage state for a Subject regardless of whether the Subject has authenticated itself or remains anonymous. Yosai initializes a server-side Session when a Subject is instantiated. It is recommended that the session be regenerated by the application after any privilege level change within the associated user session. Whenever a Session is created or updated, its data is persisted to a storage location so that it may be accessible by the application at a later time. Similarly, when a Session is invalid and longer being used, it is deleted from storage so that the Session data store space is not exhausted (if you're not taking advantage of TTL expiration in your data store). The SessionManager implementations delegate these Create/Read/Update/Delete (CRUD) operations to an internal component, the SessionStore, which reflects the Data Access Object (DAO) design pattern. The power of the SessionStore is that you can implement this interface to communicate with any data store you wish. This means your session data can reside in memory, on the file system, in a relational database or NoSQL data store, or any other location you want. You have control over persistence behavior. Yosai features an in-memory MemorySessionStore and CachingSessionStore. The CachingSessionStore is the default, and recommended, SessionStore for Yosai. An Event is emitted to the singleton EventBus, in Yosai, when a Session is started, stopped, or expired. If you would like to learn more about Event processing, please refer to the documentation about Event Processing. Events are communicated using a publish-subscribe paradigm. In the case of Sessions, a SessionEventHandler publishes an event to a channel (an internal Event Bus). The EventBus relays an event to consumers who have subscribed to the event's topic. It relays the event by calling the callback method registered for a consumer, using the event payload as its argument(s). At Yosai initialization, yosai.core.authz.authz.ModularRealmAuthorizer subscribes to a few event topics, one of which is 'SESSION.EXPIRE'. When it subscribes to the 'SESSION.EXPIRE' topic, it registers a callback method, session_clears_cache. This callback method is called by the EventBus whenever a 'SESSION.EXPIRE' event is emitted to the bus. A SESSION.EXPIRE event is emitted by a yosai.core.session.session.SessionEventHandler when Session Validation has recognized a Session as expired. As of yosai.core v0.1.0, the ModularRealmAuthorizer and EventLogger are the two subscribers of the SESSION.EXPIRE topic (see table above). The callback method registered for each subscriber is called in an arbitrary, sequential fasion (PyPubSub design) when a SessionEventHandler emits a SESSION.EXPIRE event to the Eventbus. This is not a primer on how to write your own e-commerce shopping cart application. This example is intended to illustrate the Session API. This ShoppingCart uses a really stripped down, dumb model intended to show you how to control the marshalling of custom objects. Let's now see all of our objects in action. We'll add items to the shopping cart and then remove one.